Railpictures.ca - Doug Page, Bruce Acheson collection Photo: A trio of C&O second generation units lead a westbound freight through Waterford in July 1966. | Railpictures.ca – Canadian Railway Photography – photographie ferroviaire Canadienne. 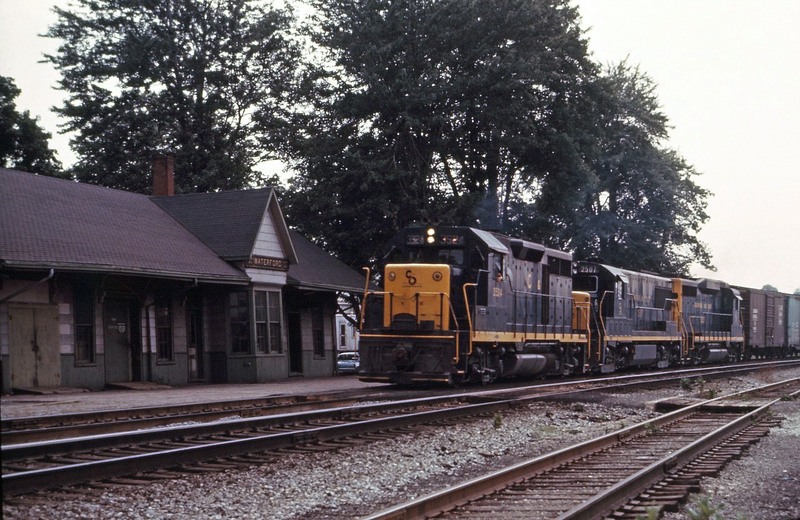 Caption: A trio of C&O second generation units lead a westbound freight through Waterford in July 1966.